The European Commission offers a platform for online dispute resolution, which can be found at http://ec.europa.eu/consumers/odr/. 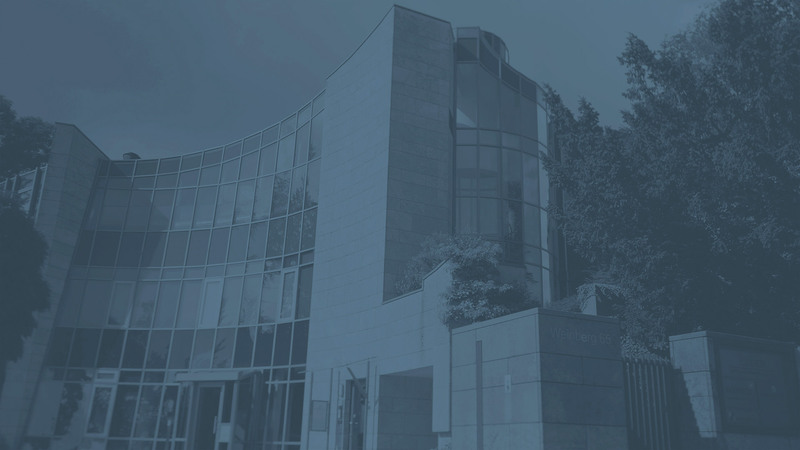 G. & G. Lüder Immobilien GmbH is neither willing nor obliged to participate in dispute resolution proceedings before consumer arbitration bodies. The 3-D computer graphics and photos used on the www.lueder.de website (hereinafter referred to collectively as “images”) are only examples and non-binding. Illustrations do not become part of the contract. Only the content of concluded contracts is decisive. All documents, texts, images, graphics, brands, sound and video recordings on this website are subject to German copyright law and other laws protecting intellectual property. They may not be copied for commercial use or distribution, nor may they be modified or used on other websites. The reproduction, duplication or other distribution of the contents of this website requires the prior written consent of G. & G. Lüder Immobilien GmbH. The information that we make available to you on this website has been carefully compiled and is constantly updated. However, G. & G. Lüder Immobilien GmbH cannot assume any liability for the correctness, completeness and topicality of the contents. This website also contains links to external websites, the contents of which can be accessed through G. & G. Lüder Immobilien GmbH has no influence and for which no liability is assumed. The references and information on the website www.lueder.de as well as all disputes in connection with this website are subject to the law of the Federal Republic of Germany. 1.1 In the following we inform you about the collection of personal data when using our website. Personal data is all data that can be personally related to you, e.g. name, address, email addresses, user behaviour. 1.2 The person responsible pursuant to Art. 4 para. 7 of the EU Data Protection Basic Regulation (DSGVO) is G. & G. Lüder Immobilien GmbH, Weinberg 65, 31134 Hildesheim, Germany, telephone: 05121 / 1670-50, fax: 05121 / 1670-90, e-mail: [unternehmensgruppe@lueder.de] You can reach our data protection officer, Mrs. Katrin Junggebauer, at [Daten-schutz@lueder.de], by telephone at 05121/1670-81 or at our postal address with the addition “Data protection”.] 1.3 When you contact us by e-mail, the data provided by you (your e-mail address, your name if applicable and your telephone number) will be stored by us in order to answer your questions. We delete the data arising in this context after the storage is no longer necessary, or restrict the processing if there are legal storage obligations. 2.1.5. The right to object to the processing. 3.1.10. Language and version of the browser software. 3.2 In addition to the aforementioned data, cookies are stored on your computer when you use our website. Cookies are small text files that are stored on your hard drive assigned to the browser you are using and through which certain information flows to the location that sets the cookie (here by us). Cookies cannot execute programs or transmit viruses to your computer. They serve to make the Internet offer more user-friendly and effective overall. 3.3.1.2 Persistent cookies (see 3.3.3). 3.3.2 Transient cookies are automatically deleted when you close your browser. This includes session cookies in particular. They store a so-called session ID, which can be used to assign various requests from your browser to the shared session. This allows your computer to be recognized again when you return to our website. Session cookies are deleted when you log out or close your browser. 3.3.3 Persistent cookies are automatically deleted after a specified period, which may vary depending on the cookie. You can delete the cookies in the security settings of your browser at any time. 3.3.4 You can configure your browser settings according to your wishes and, for example, refuse to accept third-party cookies or all cookies. We would like to point out that you may not be able to use all the functions of this website. 3.3.5 [The Flash cookies used are not captured by your browser, but by your Flash plug-in. We also use HTML5 storage objects that are stored on your device. These objects store the required data regardless of the browser you are using and do not have an automatic expiration date. If you don’t want the Flash cookies processed, you’ll need to install an appropriate add-on, such as “Better Privacy” for Mozilla Firefox (https://addons.mozilla.org/de/firefox/addon/betterprivacy/) or the Ado-be Flash Killer cookie for Google Chrome. You can prevent the use of HTML5 storage objects by using the private mode in your browser. In addition, we recommend that you regularly delete your cookies and browser history manually]. 3.4 The hosting services used by us serve to provide the following services: Infrastructure and platform services, computing capacity, storage space and database services, security and technical maintenance services that we use to operate our website. 3.5 We or our processors process inventory data, contact data, content data, contract data, usage data, metadata and communication data of users of our website on the basis of our legitimate interests in the efficient and secure provision of this online service in accordance with Art. 6 Para. 1 lit. f DSGVO in conjunction with Art.28 DS-GVO (conclusion of a contract for the processing of orders). 4.1 If you contact us by e-mail, telephone or in writing, the data provided by you (e.g. surname, first name, address) will in any case include your contact data and the information contained therein as well as any personal data transmitted by you and will be stored by us for the purpose of establishing contact and processing your request. 4.2 Data processing in connection with the establishment of contact is carried out in accordance with Art. 6 Para. 1 S. 1 lit. e DSGVO. 5.1 Your personal data will not be transferred to third parties for purposes other than those listed below. 5.2.4. This is legally permissible and required for the execution of contractual relationships with you pursuant to Art. 6 para. 1 sentence 1 lit. b DSGVO. 6.1 The criterion for the duration of the storage of personal data is the respective legal retention period. After expiry of this period, the corresponding data will be routinely deleted unless they are no longer required for contract fulfilment or contract initiation. 6.2 We and, where applicable, our processor(s) shall process and store personal data only for the period of time necessary to achieve the storage purpose or as required by any law or regulation to which the controller is subject. 6.3 If the storage purpose no longer applies or if a prescribed storage period expires, the personal data shall be routinely blocked or deleted in accordance with the statutory provisions, provided and to the extent that we have no legitimate interest in extending the storage period. We inform you that the provision of personal data is partly required by law (e.g. tax regulations) or may result from contractual regulations (e.g. information on the contractual partner). Sometimes it may be necessary for a contract to be concluded that a person concerned makes personal data available to us which must subsequently be processed by us. For example, the person concerned is obliged to provide us with personal data if our company concludes a contract with them. Failure to provide personal data would mean that the contract could not be concluded with the data subject. Before the data subject provides personal data, the data subject must contact one of our employees. Our employee informs the concerned person on a case-by-case basis whether the provision of personal data is required by law or contract or is required for the conclusion of a contract, whether there is an obligation to provide the personal data and what consequences the non-availability of the personal data would have. 8.1 This data protection information is currently valid as at […]. Due to further development of our website or due to changes in legal or official requirements, it may be necessary to amend this data protection declaration. 8.2 You can access our current complete data protection statement at any time on our website.